Under New Ownership. 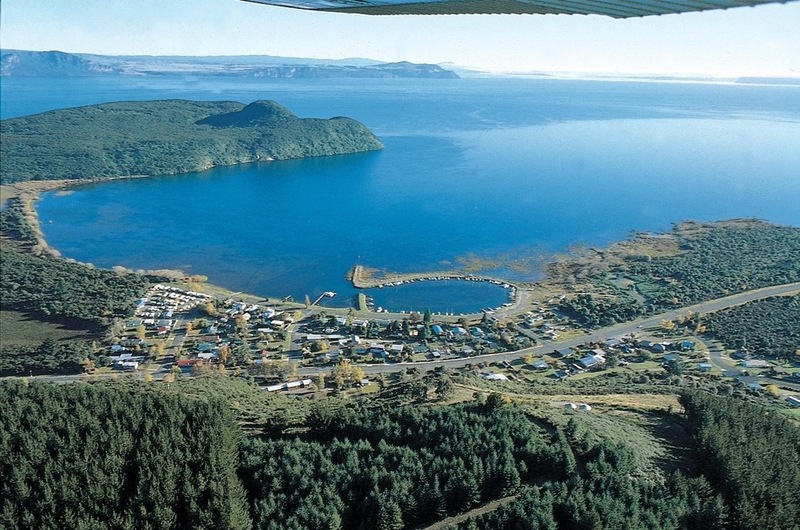 Welcome to our place of paradise, Motuoapa Bay is situated on the southern shores of Lake Taupo. 9kms north of Turangi, 40kms south of Taupo and 40ks to the local ski fields. Nestled among native trees and under picturesque Echo Cliffs you can relax on your private decking area. We offer comfortable cedar studio or one bedded chalets which contribute to a warm and relaxing ambience. Our beautiful Motuoapa Bay is the half way point between Wellington and Auckland, a fantastic location with stunning views to break your long trip! Our motels are opposite the renowned Licorice Café and a short stroll to the beautiful Motuoapa Marina. Covered off street parking. Large front lawn area with BBQ facilities available. For the keen fisherman we offer a fish cleaning bay and a smoke house. After a fantastic day skiing or a day on the lake, Tokaanu hot pools is a short 10 minute drive away or if it's one of our beautiful days there are Motuoapa Bay self-drive hire boats and kayaks available by the marina. Take a beautiful walk to the lookout (stunning views of the Bay) situated behind the motel, 5 minute walk to the top. If you are visiting our area to experience our local attractions or wanting a weekend retreat Motuoapa Bay can cater for all your requirements.